Kolkata: Admitting a contempt petition filed by CPI-M, Calcutta High Court has directed the Bengal police, and the State Election Commission (SEC), to file affidavits on the alleged failure to curb violence during the extended deadline for nomination filing for the Panchayat polls. 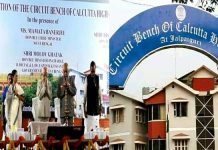 The High Court has, however, rejected another petition by the CPI-M pleading for validation of nominations that were e-mailed to the SEC by 134-odd candidates who couldn’t do so physically due to alleged violence by Trinamool. On behalf of CPI-M, advocate Bikash Ranjan Bhattacharya moved both the petitions this morning before the single-judge bench of justice Subrata Talukdar. He pleaded that the High Court had on 20 April directed the SEC to offer an extended window for nomination filing and had asked it and the state police to ensure adequate security for those wanting to file nominations. Despite the directive, widespread violence targeting opposition candidates was witnessed during the extended nomination filing window on 23 April. Police kept idle as because the attackers were Trinamool cadres and, this failure to curb violence amounts to contempt of the court, Bhattacharya pleaded. On listening to the argument, justice Talukdar admitted the contempt petition and asked the DG of Bengal police and the SEC to file separate affidavits on the security arrangements that were made and the reason for failing to contain violence. HC will hear the case again in the first week of June. 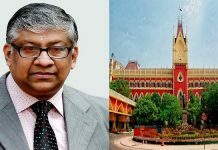 In the second petition, CPI-M counsel Bhattacharya had urged the HC for a directive to SEC to accept the nominations that were filed through e-mail in view of Trinamool violence. He argued that since the HC yesterday directed the SEC to accept nominations filed through WhatsApp by nine candidates from Bhangar in South 24-Parganas, the e-mailed nominations should also be accepted. Bhattacharya claimed that the Panchayat election rules of 2003 have provision for online nomination. Both the SEC secretary Nilanjan Shandilya and Trinamool counsel Kalyan Banerjee contested the claim and maintained that there is no provision for online nomination. 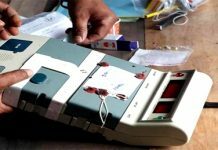 Shandilya pleaded that the WhatsApp nominations have been accepted as the nine candidates were present in the returning officer’s premises before the end of the deadline for nomination. He said that this should be treated as a special case without the scope for precedence. After hearing this counter-argument, justice Talukdar rejected CPI-M’s plea for acceptance of e-mailed nominations of the party’s 134 candidates.